Do you need a locksmith in Arvada, CO? Did you know that Colorado Security Products is one of the oldest and most experienced locksmith services in the Arvada area? We have been in business for over 40 years, always under the same ownership and management. That means that we have developed relationships in Arvada, and that many people won’t trust anyone else with their locksmithing needs. Sometimes, you need a locksmith now. When the need for an emergency locksmith arises, give us a call. We will get to you quickly and help you unlock whatever you are locked out from. We can help with automobile locks, door locks, safes, and more. No matter what you need to have unlocked urgently, our experienced Arvada locksmiths can help you get it open. We are available 24 hours a day and 7 days a week. There is always a locksmith standing by, ready to come to you and help you with your problem. We are even around on holidays because we know that locksmith problems don’t always pop up when it’s convenient. 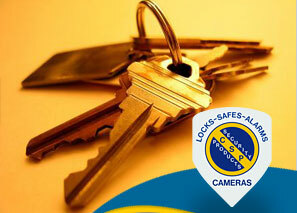 We want you to rest assured that there is always a locksmith around, ready to help you out. Do you want heightened security for your home or business? We can help you feel confident that your area is secure. We can also help you find the security cameras, safes, security systems, and access control solutions that are right for your needs. Do you need to monitor a large area or know exactly who enters and exits an area, no matter the time of day or night? We can help you set up security cameras so you know how goes in and out and what they’re doing when they’re on your property. From single camera systems to multi-camera nets, we’ll help you figure out what you need and get it set up in the most efficient layout possible. Do you keep valuables on your premises or need a place to put money between deposits? We’ll help you find the safe that will work best for you. We can help you find a safe with time release features and advanced security protocols that will ensure the safety of your or your customers’ valuables. Do you need to know right away if someone is accessing your home or business without authorizations? We’ll help you find a security system that will give you all of the notifications you need. Whether you’re looking for home security or security for a busy business, we’ll find the solution that will work well for everyone. Do you have restricted areas in your business? Make sure only those with authorization get through by installing access control panels on doors and other access points. These panels keep the doors locked until someone with the right code comes along. We can also help you install panels that respond to keycards or even biometric scans. You won’t have to worry about unauthorized access anymore! No matter what you need, we will help you achieve a level of security that will give you peace of mind!